On October 13th 1775 the Continental Congress passed legislation to establish a Navy for a country that did not yet exist. It was the first was the first in a long line of legislative actions taken by it and subsequent Congresses that helped define the future of American sea power. The legislation was the beginning of a proud service that the intrepid founders of our nation could have ever imagined. Less than two months after it was signed on December 3rd 1775 Lieutenant John Paul Jones raised the Grand Union Flag over the new fleet flagship the Alfred. The fleet set sail and raided the British colony at Nassau in the Bahamas capturing valuable cannon and other military stores. It was the first amphibious operation ever conducted by the Navy and Marines. Jones received the first recognition of the American flag shortly after France recognized the new United States. 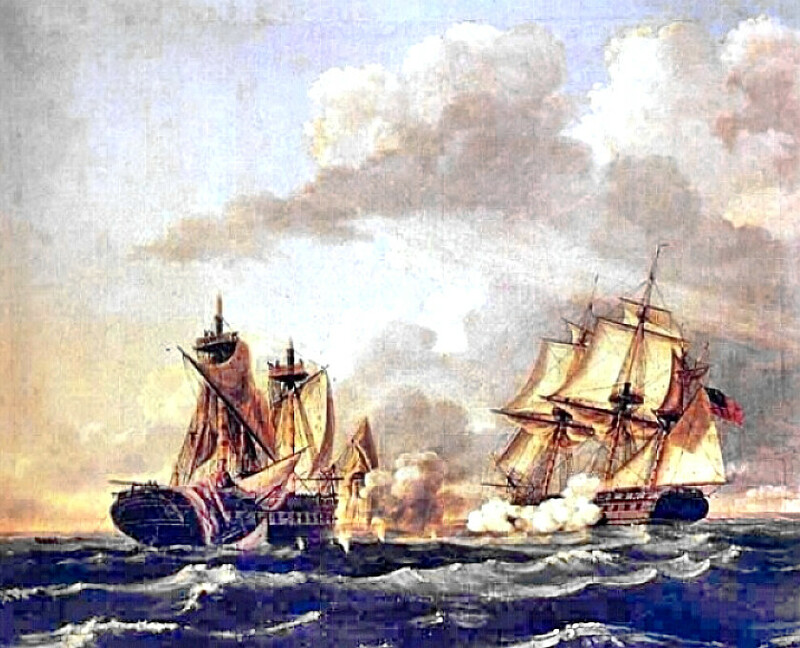 In command of the Sloop of War Ranger his ship received a nine-gun salute from the French flagship at Quiberon Bay. When the war ended very few of these ships remained most having been destroyed or captured during the war. But these few ships and the brave Sailors and Marines who manned them blazed a trail which generations of future sailors would build on. The Navy has served the nation and the world as a “Global Force for Good” for 237 years. Tonight as you go to bed and sleep soundly after eating well and spending time with family, friends or enjoying some form of entertainment remember those of our Navy who serve at sea at the ready in the Straits of Hormuz, in the mountains and deserts of Afghanistan, the desolation of the Horn of Africa and around the world defending our interests, caring for our military personnel and their families and deploying to serve in harm’s way and in areas of devastation. They are America’s “Global Force for Good.” They are my shipmates they are your fellow citizens. They are the United States Navy. This is the second of a series of articles I will write commemorating the 236th anniversary of the founding of the United States Navy. 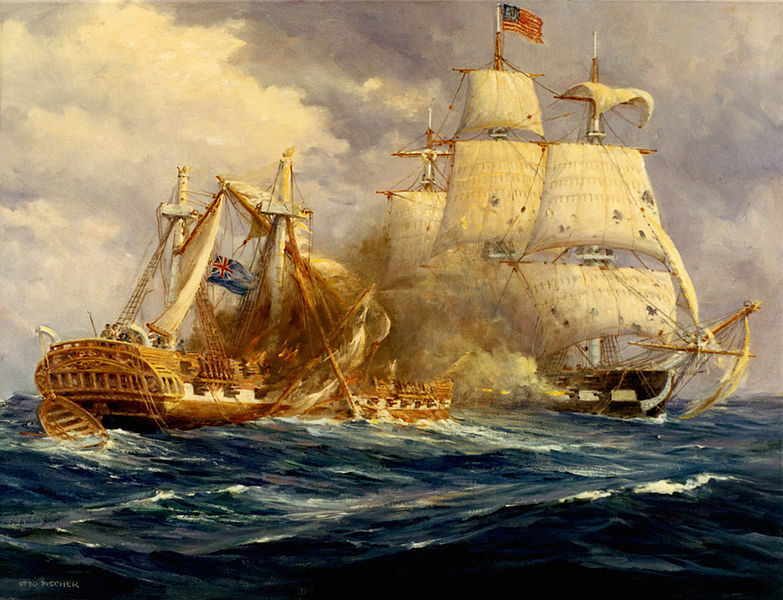 This article discusses the actions of the USS Constitution and USS United States at the outbreak of hostilities in which they defeated three British Frigates in battles that are legend in the annals of Naval History. 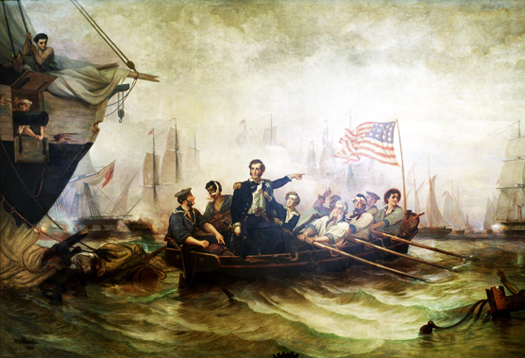 I grew up reading the stories of naval actions during the War of 1812 with rapt fascination. I could describe the battles, the ships and the brave Captains in detail even at a young age. I can close my eyes and see the paintings, drawings and the diagrams of the ships, their sailors and the battles that they fought. I guess that I was destined to end up in the Navy. But then how could I not? My birthday falls on March 27th, the anniversary of the founding of the current United States Navy. 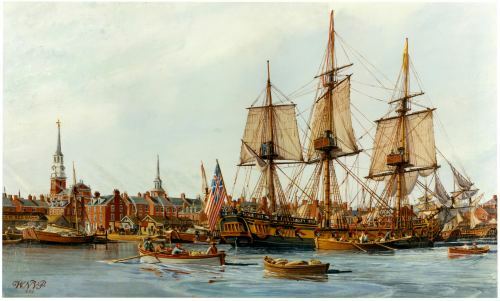 On March 27th 1794 the Congress of the United States appropriated funds to establish a Navy built around six powerful Frigates, the 44 Gun USS Constitution, USS President and USS United States and the 38 Gun USS Congress, USS Constellation and USS Chesapeake. The 44 gun ships were larger and had a heavier armament than the majority of their British, French or Spanish counterparts. Although rated as 44 Guns they mounted 56 guns, 30 of which were the heavy 24 pound cannons and 22 were the short range but powerful 32 pound carronades. They were built of oaken timbers that were of the size used to build Ships of the Line in other navies. In comparison the standard Royal Navy Frigate of the day was the 38 gun ship mounting 18 pound cannons. The ships would serve during the Quasi-War withFrance from 1798-1800 and the First Barbary War from 1801-1805. When the United Stateswent to war with Britainin 1812 neither side was well prepared. 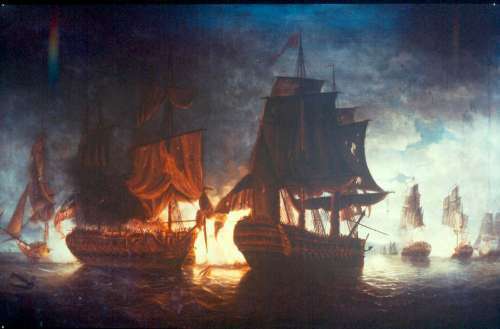 The British were deeply engaged in the Napoleonic Wars and the bulk of the Royal Navy was engaged in blockade operations against Franceand its allies on Europe’s Atlanticand Mediterranean coasts. Deployed the Western Atlantic was a 64 Gun Ship of the Line HMS Africa 9 Frigates and assorted and about 75 smaller vessels. The United States Navy was minuscule even compared with the forces deployed by the Royal Navy to the Western Atlantic. When the Federalist administration of John Adams left office the Navy was on the ascendant. Built around a nucleus of 13 Frigates with six 74 gun Ships of the Line under construction the Navy was reduced to just 8 Frigates, most of which were laid up in dry dock at any given time. There was an anti-Navy sentiment in the Republican administrations of Thomas Jefferson and James Madison. The building program was ended and replaced with a program of gunboat construction. About 174 of these were built between 1805 and 1812 but only 62 were in service at the time of the war. They were particularly unsuited to engaging any substantial British ship as they were too lightly built and were poor sea boats with a light armament and it would take 40 gunboats to match the firepower of a single British Frigate. 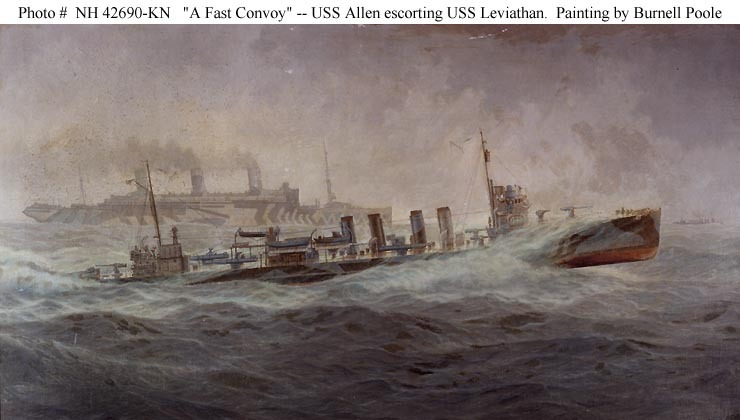 Likewise instead of being cheap to build and maintain the cost per gunboat came out to $10,000 each instead of the budgeted cost of $5000 and their cost to maintain one gunboat per year was more than that of a Frigate. 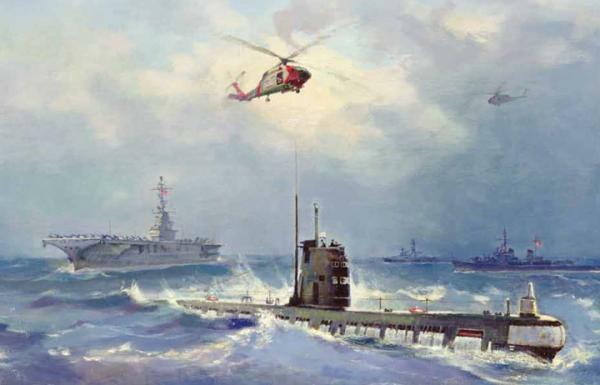 The reduction of the “blue water” Navy was a move of political ideology. Despite the obvious need to protect commerce as was displayed during the Quasi-War and the First Barbary War the Jefferson administrations was intent on a coastal defense strategy to which the gunboats were key. However it was poor naval policy because there was no way to determine where any actual British strike would take place and the dispersion of the gunboats meant that there would never be enough at any port to repel the Royal Navy. When war was declared the United States Navy comprised of just 8 Frigates and 14 smaller Sloops and Brigs and the worthless gunboats. Since the build program was stopped the Navy had no Ships of the Line. The Secretary of the Navy was an incompetent named Paul Hamilton and the Jeffersonian strategy of coastal defense was embraced by Albert Gallatin who recommended that all the Navy’s large ships be turned into floating batteries for harbor defense. The Navy was fortunate to have bold officers with the combat experience of the Quasi-War and the Barbary War under their belt. 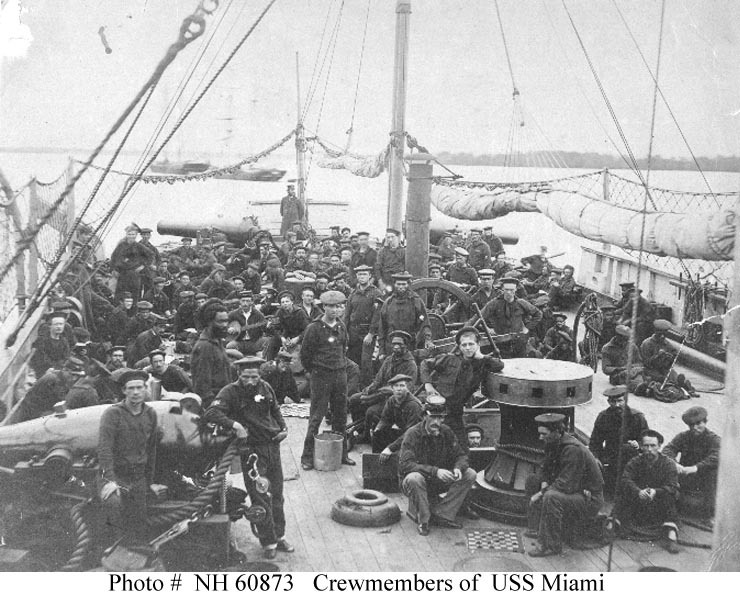 The ships had fine crews of well trained professional sailors who excelled at seamanship and gunnery. 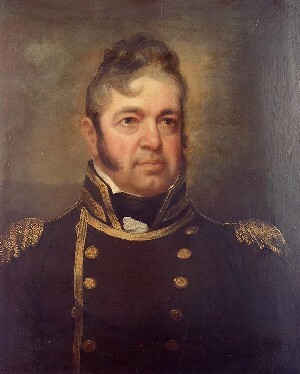 Taking advantage of the thinly stretched Royal Navy a squadron under Commodore John Rodgers was already at sea when the administration decided on the coastal defense strategy and forced the Royal Navy to divert many ships that could have decimated the merchant marine of the time allowing many American flagged ships to safely reach port with their cargo. 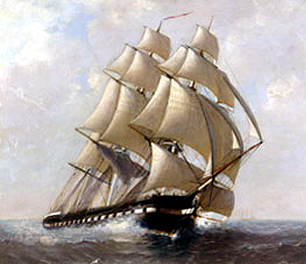 The USS Constitution under the command of Captain Isaac Hull sailed from Boston at the outbreak of hostilities and nearly met disaster when it ran into a Royal Navy squadron comprised of the HMS Africa and 5 Frigates. Becalmed Hull and his crew used every device known to escape in an epic 57 hour close quarter chase. He returned to Boston, replenished his stores and set sail again. On August 19th some 600 miles out of Boston Constitution came across the 38 Gun Frigate HMS Guerrière. 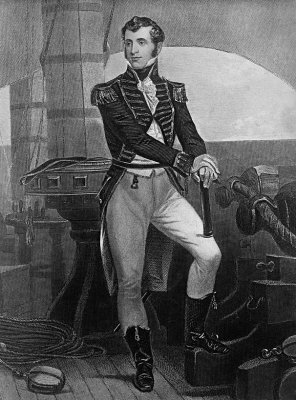 The Captain of Guerrière was James Dacres who had a low opinion of the United States Navy. Hull directed the fire of his powerful 24 pounders into Guerrière shredding her rigging and smashing her hull. Two hours after the fight began Dacres struck Guerrière’s colors. Guerrière was so badly damaged that she was burned and sunk with her crew taken back to Boston as prisoners. During the action a sailor aboard Constitution noted that Guerrière’s shot was bouncing harmlessly off of the thick oaken sides of the ship. He is quoted as shouting “Huzza, her sides are made of iron,” which provided the ship her nickname Old Ironsides. Constitution lost 7 men killed and 7 wounded in the battle while Guerrière lost 15 killed and 78 wounded of her 272 member crew. 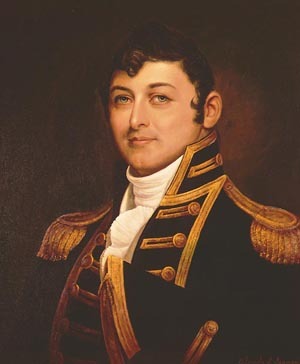 The USS United States under the command of Captain Stephen Decatur found the 38 Gun HMS Macedonian under the command of Captain John S. Carden 600 miles west of the Canary Islands. The battle commenced at 0920 and firing from long range Decatur’s gunners partially dismasted Macedonian leaving her hard to maneuver. 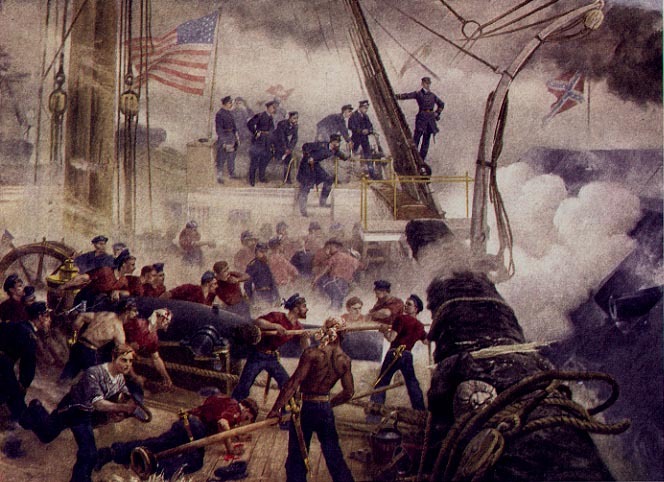 Decatur then positioned United States on the quarter of Macedonian and pounded the helpless British ship into submission. Macedonian surrendered about 1200. 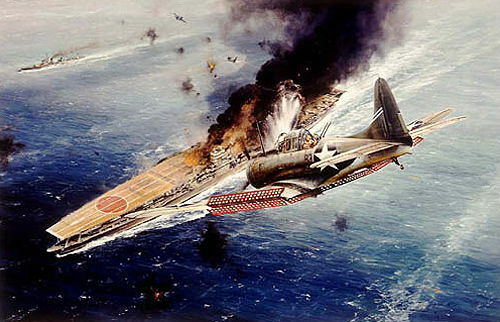 Damage to the United States was light and 7 sailors were killed and 5 wounded. Macedonian lost over one-third of her 301 man crew killed or wounded. 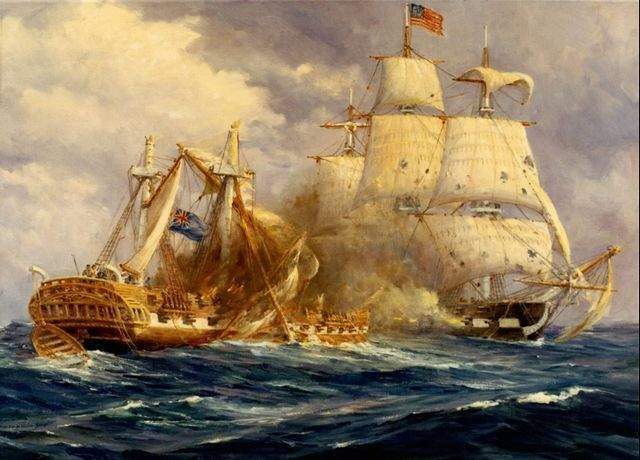 The Americans took over the British vessel and after temporary repairs at sea the United States and the newly christened USS Macedonian sailed for New York arriving on December 4th 1812. The ship would serve in the U.S. Navy until 1828 when she was broken up at Norfolk. In late October 1812 the Constitution now under the command of Captain William Bainbridge sailed from Boston. This time she encountered the 38 Gun Frigate HMS Java under the command of Captain Richard Lambert off the coast of Brazil on December 29th 1812. Java was a fine ship with a well drilled crew and brave Captain and she was faster than Constitution. Though she was rated as 38 Guns she had 49 mounted making her a far tougher opponent than Guerrière or Macedonian. In addition to her own crew she had on board 100 additional sailors to reinforce ships inIndia. She was carrying Lieutenant General Thomas Hislop who was to command British forces inIndia, officers from his staff and several other high ranking Royal Navy officers enroot to commands inIndia. The action commenced about 1410 and Lambert was able to maneuver across Constitution’s stern 3 times shooting away her helm at 1430 and wounding Bainbridge. Constitution was able to close with Java and the ships became fouled which took away the advantage Java had temporarily acquired. Java had her bowsprit and jib boom shot away at 1500 and in the next 55 minutes Constitution dismasted Java with the exception of part of her mainmast which went over the side at 1620. The gallant Captain Lambert was mortally wounded at 1530 and command was assumed by Lieutenant Henry D. Chads. At 1725 Constitution took up a raking position and Lieutenant Chads after consulting with his surviving officers struck the colors. The battered Java was not salvageable and was burned and sunk the next day but not before Java’s helm was salvaged and installed on Constitution. In an ironic twist Commodore Henry Chads in command of a British squadron at Singapore in 1845 provided medical assistance to Constitution when her crew suffered an outbreak of Dysentery and fevers during her around the world cruise. 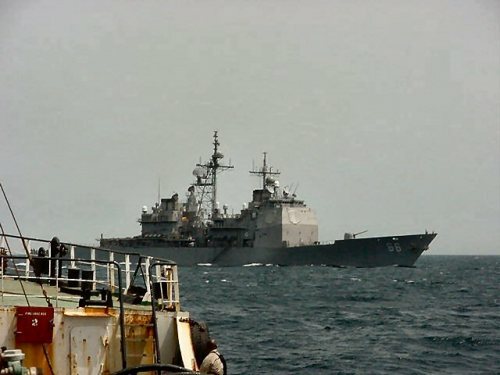 Within the space of four months the Royal Navy lost three Frigates and forbade their Frigate Captains not to engage the American “Super-Frigates” one on one. Only Ships of the Line or squadrons would be allowed to engage the American ships. Over the next two years the British tightened their blockade of American ports bottling up most of the Navy. 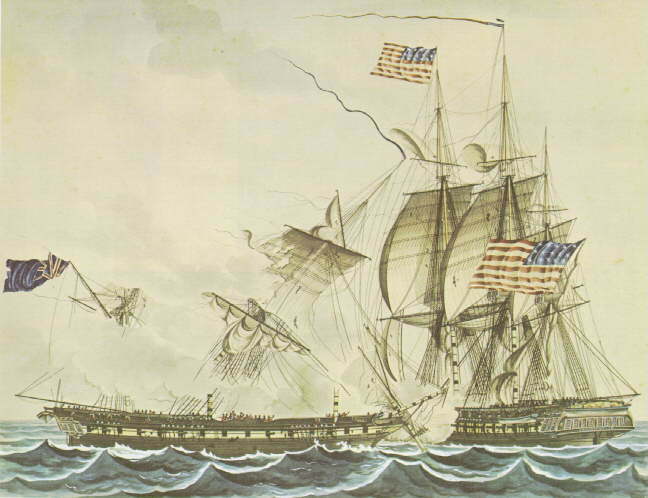 The Navy lost two of the Super-Frigates to the British during the war, the 36 gun USS Chesapeake which was captured by HMS Shannon on June 1st 1813 and the USS President on January 15th 1815. 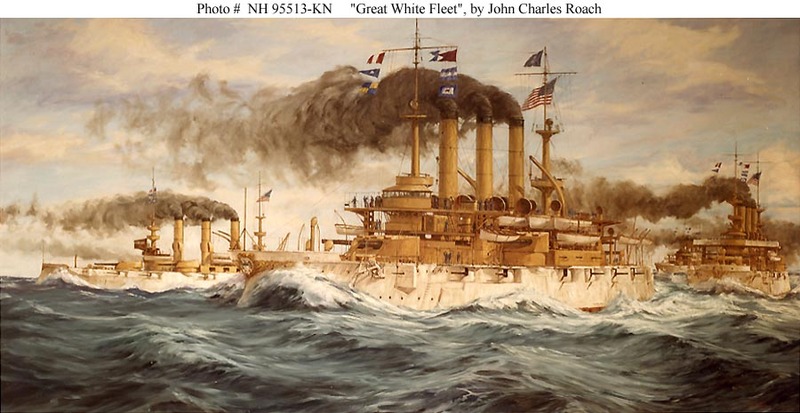 Neither was a fair fight, Chesapeake’s Captain James Lawrence was new to the ship which had a new and poorly trained crew and Shannon was one of the most combat effective ships in the Royal Navy whose Captain was Philip Broke had been her skipper for 7 years and trained the crew into a well drilled machine. Lawrencewas mortally wounded but uttered the cry which immortalized him “Don’t give up the ship, fight her until she sinks.” Lawrence’s friend Commodore Oliver Hazard Perry would name his flagship on Lake Erie the USS Lawrence and fly a flag that read “Don’t give up the Ship.” The USS President under the command of Stephen Decatur was lost after she was badly damaged in a winter gale and snowstorm when pilots navigated her onto a sand bar. Although Decatur was able to move the ship off the bar she was badly damaged and caught by a superior British squadron and captured. 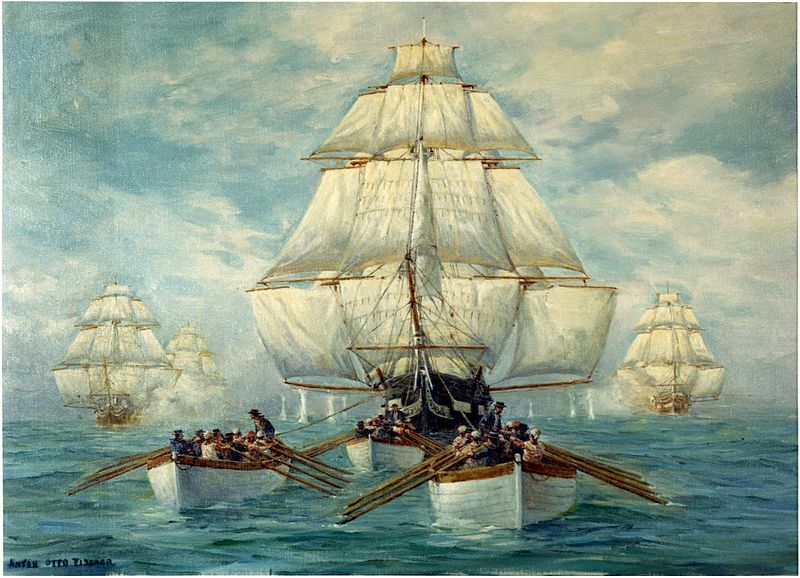 The exploits of the small force of Frigates and smaller ships on the high seas and Perry’s squadron onLake Erie proved to be the only real military successes of the war. But even more it was the three engagements in the closing months of 1812 that defined the spirit of the United States Navy for generations.